BANGKOK—Mahajak Development recently installed a complete networked AV system by HARMAN Professional Solutions at Com 7’s new headquarters. Founded in 1996, Com 7 operates a chain of retail outlets in Thailand that imports and sells computers, smartphones, tablets, printers, accessories and more. Com 7 also develops computer software, provides repair services and distributes to over 300 stores, including Banana IT, iStudio, iBeat, BaNANA Mobile, iCare and BKK. 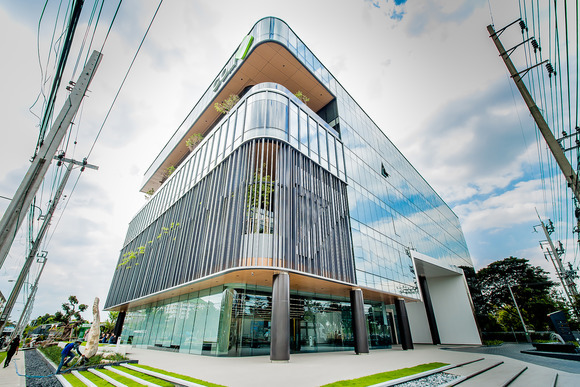 Recently, Com 7 relocated their headquarters to a new six-story office building in Bangkok. Com 7 hired AV integrator Mahajak Development to design and install a multi-zone AV system that would provide conference and training rooms with high-quality audio and intuitive network control. 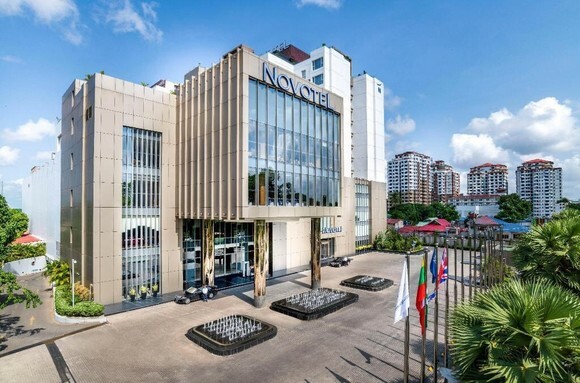 Mahajak Development selected an end-to-end HARMAN networked audio solution consisting of JBL speakers, Crown amplifiers, Soundcraft mixers, BSS audio processors and AMX control systems. “Com 7 asked us to equip their new facility with a sophisticated AV system to ensure superior audio quality, reliable performance and intuitive control during conference meetings and training sessions,” said Pongsakorn Kanchanachayphoom, Project Director, Mahajak Development. 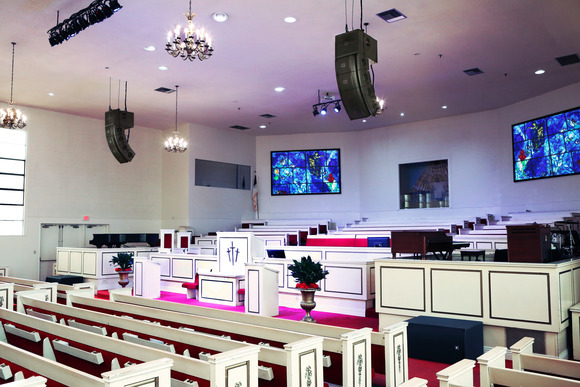 “HARMAN solutions incorporate the latest advances in technology with seamless integration, allowing us to achieve their goals and install a conference audio system that delivers consistent intelligibility and advanced networking capabilities. Mahajak outfitted Com 7’s conference and training rooms with JBL LSR305 two-way studio monitors and Control 25-1 compact speakers. The LSR305 features Image Control Waveguide, ensuring the presentation is neutral and accurate at the listening position, while the Control 25-1 combines wide coverage, consistent dispersion and a contemporary high-design look that fits the room’s decor. Mahajak also installed Control 14C/T full-range ceiling speakers, providing total coverage and consistency throughout the rooms. The speakers are powered by Crown XLS DriveCore Series and JBL Commercial Series amplifiers. 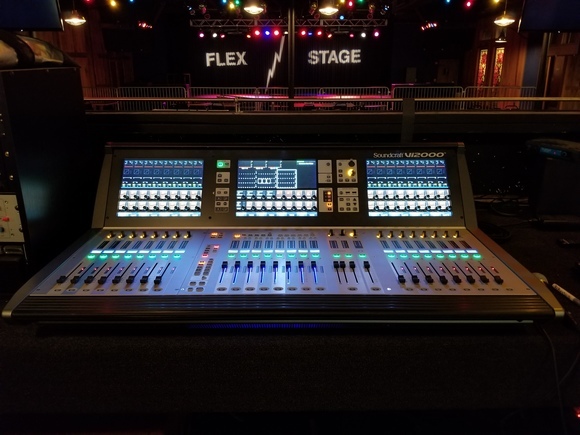 Mahajak built the training room AV systems around the Soundcraft Signature 10 mixing console, which delivers extraordinary headroom, wide dynamic range and pristine clarity. Throughout the facility, the audio is networked and configured using a BSS Soundweb London BLU-100 signal processor, which offers a fixed configuration of 12 inputs and 8 outputs of configurable signal processing and features open architecture that is fully configurable through HiQnet™ London Architect. For control, Mahajak included AMX NX-2200 and NX-1200 NetLinx® NX integrated controllers, which provide intuitive operation of the sophisticated AV system installed at Com 7’s headquarters. Both controllers are capable of supporting a variety of communication formats, and provide a scalable platform for the future. For room scheduling and system control, Mahajak installed AMX Modero S Series wall-mount touch panels. The NMX-ENC-N1122 video encoder provides the system with networked video capability, including output scaling, balanced audio and HDMI video connections for the room users, while the AMX NMX-ENC-N1222 decoder provides perfect digital pixel reproduction with industry leading low-latency performance over single gigabit infrastructure.